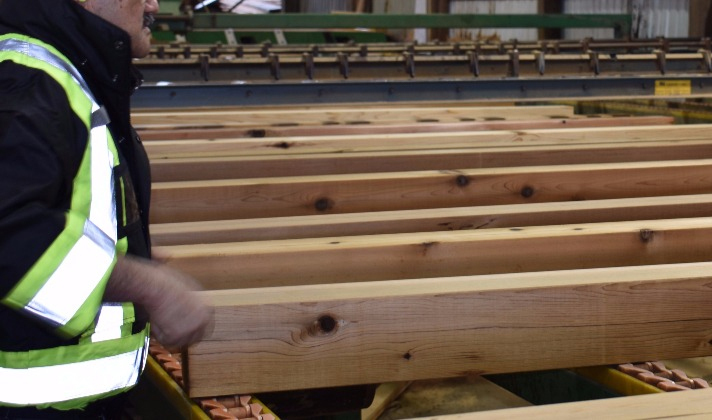 SERVICES | Vancouver Specialty Cedar Ltd.
Vancouver Specialty strives to give our customers consistency of manufacturing with state of the art equipment and outstanding customer service from our experienced staff. We do custom drying and custom remanufacturing. VANSPEC has four dry kilns. Each kiln chamber can hold 60,000-90,000 board feet of wood per charge. Dehumidifying kilns employ refrigeration compressors to remove water from the air inside each chamber. 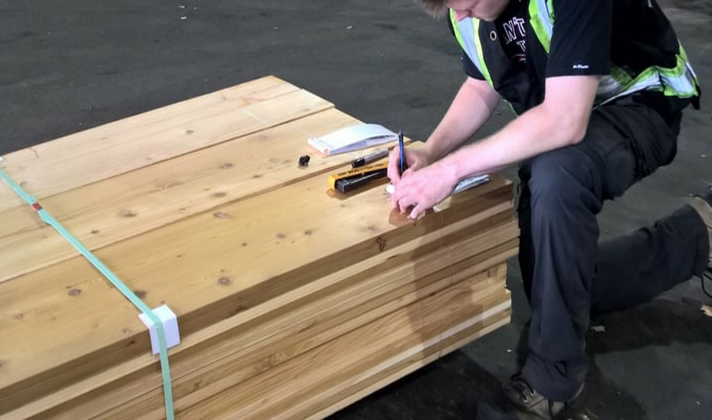 Typically, tight knot wood will take 7 days to dry down to 14-16% average moisture content. Clear fine-grain lumber will take a minimum of 14 days and can often take as long as 28 days to dry down to 10-12% average moisture content. Each charge being put into Vanspec’s kilns weigh approximately 150,000 LBS, but 20,000 LBS of water will be removed during the drying process. Outbound stock from the chamber will weigh approximately 130,000 LBS. VANSPEC is certified with The International Plant Protection Convention (IPPC). IPPC mandates that wood packaging used in international trade must be treated to guard against the distribution of unwanted pests. For a Canadian exporter, this means shipping product to any country other than the United States. Heat treating (HT) is a pasteurizing process. Kiln dried (KD) is moisture reduction. Your lumber can be just KD or HT-KD. 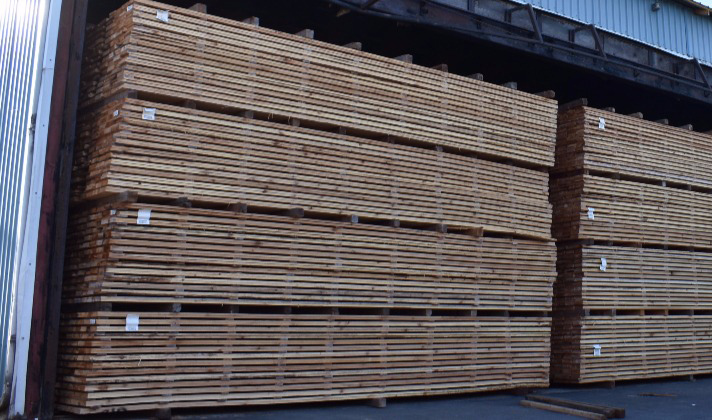 Lumber that is just KD is not eligible for IPPC certification. Any type of packaging such as pallets, boxes, skids, crates, heavy/light packaging or supporting material (dunnage) made from raw wood materials must have been made from wood heat treated to a core temperature of 56°C for 30 minutes (either before or after manufacturing). 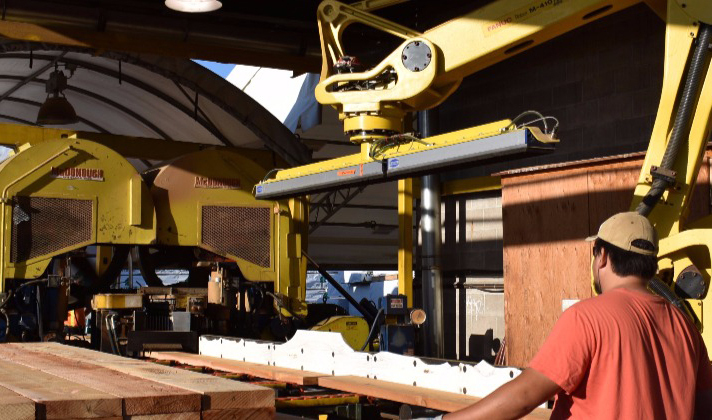 More information can be found at Canadian Food Inspection Agency website..
Vanspec uses a McDonough “Twin Band Resaw” as a primary timber breakdown machine, capable of producing 65,000 board feet of timbers. Vanspec is equipped with a Stetson Ross 610 planer. This planer enables Vanspec run speeds, ranging from 150fpm to 400fpm. Depending on the product being produced, run speeds will vary to ensure a consistent quality product. To compliment VANSPEC’s Stetson Ross 610 planer, a horizontal Stenner resaw tails the planer allowing runs of double profile products such as tongue and groove and bevel siding.